Watch Me Talk About Something! Casual Connect is an annual convention in Seattle dedicated to the discussion of casual computer games, the design and marketing of same, and how to write games that milk every last penny from your aunt by getting her to bug you on Facebook for cow clicks or Smurfberries or whatever. Anyway, they were kind enough to ask me to speak about storytelling in computer games for their Indie track. I gave my talk, and they filmed it. My talk is online here. Please enjoy my sultry voice, questionable game design principles, and unique posture. Or not. The talk is 20 minutes long. You could probably more profitably spend your time doing, say, ANYTHING ELSE. The most interesting thing about Casual Connect? How weird anyone who sells software in the old school way is made to feel. Here's what I do: I write a game. I give it to you in return for a set number of dollars. Then we part ways, and you never have to look at my pale, beardy face again. This model is so incredibly retro now! Pay money for a game? Nonsense! Everyone real makes their money with microtransactions and advertising and nickle and diming you for packs of 100 Dragon Bux you can use to make your zombie ninja pirate dragon grow faster. And if you make money any other way, people in suits will act very nervous and not make eye contact with you anymore. If you end up at Casual Connect and talking to actual grown-up business people, I suggest you do what I did: Have a firm, manly handshake. Make eye contact. Say "monetize" and "ARPU" as much as possible. And then pee yourself. A Couple of Cheap Shots at Big Movies. Because I'm So Smart. This is about a violent gun guy who goes on adventures and beats people up and "doesn't care about proof, doesn't care about the law. He only cares about what's right." 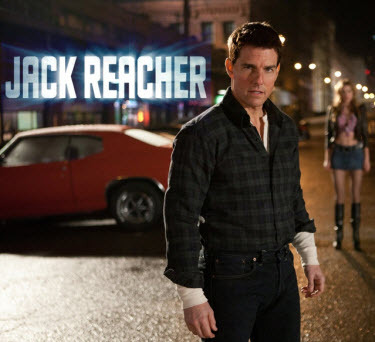 Which all sounds great until you find out he's Tom Cruise. I'm sorry, but is there one single person here on God's Green Earth (besides Tom Cruise) who thinks it's a good idea to give Tom Cruise arbitrary power over anything bigger than a Hot Dog On a Stick franchise? 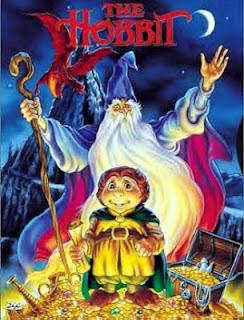 I can't say much about the upcoming Hobbit movies, though I hear the the novelization of the film by J.R.R.R. Tolkineinin is above average. I know that the world created in the prequels by Peter Jackson is an interesting one, though overly dependent on tired fantasy tropes. I do, however, have some qualms with the decision to split the book up into three (THREE!) movies. I'm sorry, but you cannot do this with any book whose big, dramatic high point is a RIDDLE CONTEST. Seriously, when I was a kid, they could wrap this crap up in 77 minutes, and that version even found time to put in Tom Bombadil. I was really looking forward to it until I saw this trailer, with its wacky dwarves, interminable pacing, and refreshing lack of action or incident. Three movies? Dear God. This adaption will be so long that I'm already watching it. It is OK to make the player's character look ugly and twisted, as long as it is in a cute, cartoonish way. It is not OK to make the main character actively horrifying and painful to look at. I think this is a reasonable rule of thumb. If you're going to expect someone to spend 40 hours in your fantasy world, you don't want them going "GAHHHH!!!" every time they look at the screen. Why do I bring it up? 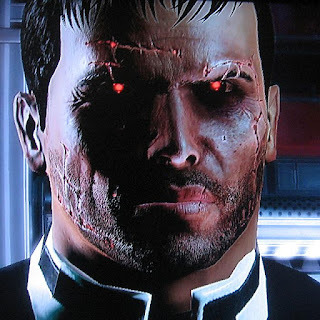 Well, in Mass Effect, the main spectrum for your character's moral choices is between Paragon (nice, lawful good, goody-two-shoes) and Renegade (harsh, Bad Cop, Patton-type). Note that this is not Good vs. Evil! You're always good. It's just whether you are nice-good or cranky-good. That's right. When playing Mass Effect, you better be as polite to as many people as you can, if you don't want to look like a hideous mutant leperzombie whose face is peeling off in glowing sheets. "What are you DOING? Haven't you looked at me? Haven't you seen my FACE? Sure, I have a working shower! Now run! RUN! I'M A MONSTERRRRR!" Look. These things are basically adolescent wish fulfillment. I don't need to have a really gross face in my fantasy world. I've had enough of that in my actual physical adolescent life, thanks.